Paperbacks are autographed! Only available here. This book is not just a Lent book, though it is definitely that. Marcellino D’Ambrosio has crafted an approach to faith that rocked my world—part treasury, part practical toolbox, and part kick in the pants! Don’t just do something, sit there—especially during Lent. This is the powerful message woven throughout this beautiful devotional from Dr. Italy. 40 Days, 40 Waysoffers spot-on suggestions to help even the busiest of Catholics slow down and spend less time in front of a screen and more time with the Lord. Readers are sure to make this devotional their “go-to” book for Lent—and any time they need to reconnect with Jesus. I have thoroughly enjoyed reading this book this Lent. It has added depth to the readings each day and gives you different things to do during Lent that you wouldn’t ordinarily think about. 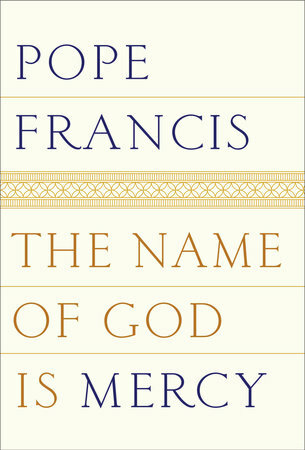 If you pick up no other book for Lent definitely pick this one up! Sometimes you find it hard to come up with practical ways to get the most out of Lent and apply lenten practiced in very practical ways. This book by Dr. D’Ambrosio gives you perfect reflections, biblical roots of practices, and ways to use each reflection and build on each of them towards Easter. The book gives you a day-by-day accountability and also varying ideas to expand your Lent and your heart. Even friends of mine that are not catholic have gotten an appreciation for Lent and the Catholic church when I share what I have been doing with this book. Even great during times of 40 day reflection outside of Lent! Grab this book while it lasts! This book provides useful examples of practices during Lent and also provides a full explanation of each one. I see myself using this book as a guide for many years to come. I’ll admit it: I was DREADING reading this book. because I had to read it just on the cusp of FALL. I DID NOT WANT TO THINK ABOUT LENT. And yet, this book was exactly what I needed. I found myself appreciating that I was reading it now, because when Lent rolls around, I’m going to have this book beside me for round 2. (And I’m not a big re-reader of books.) What D’Ambrosio has crafted is part treasury, part practical toolbox, and part kick in the pants. He’s tapped into his experience as a normal guy and his expertise as a theologian-type, wrapped it up into a book that’s both digestible and good reading, and then shared it with all of us. This book was a gift to read, and I plan to craft a thank you note. I fail at Lent pretty much every year (and I guess that’s how I know I’m succeeding, to some extent), and this year, I plan to fail with this book in hand. And then I’ll get back up, dust myself off again, and try again. Because this book makes me want to. It makes me want to try. And then try again. And then, because I know I’ll have to, try yet again. What a book. Go on. Consider it my gift to you: a book you can have in hand for Lent that will impact the entire year. 40 Days, 40 Ways is Dr. Marcellino D’Ambrosio’s latest book. You might remember his previous one, which I also reviewed, called When the Church was Young! In his latest book, he attempts to get us to look at Lent in a new way. Most people dread Lent, and just try and find something to give up to satisfy the requirement and have their “card punched.” Dr. D’Ambrosio (aka Dr. Italy) instead provides us with devotions, prayers, or other tasks we can do. He tries to make Lent more about what we can do and not what we cannot do. Each day is about two to three pages long, and starts with a suggestion on what to do, not just this day in Lent, but the whole season. Some of the tasks are “easy,” like pledging to say the “Our Father” three times a day. Other tasks require more effort like going on a contemplative retreat during Lent. After the task, we are then given a long reflection on the specific task for the day. For example, on the day that tells us to pledge to say the “Our Father,” Dr. Italy discusses the word father, its meaning, and how personal it is that we can call God our Father. In addition to covering the 40 days of Lent, there are reflections (but no task to complete) for each Sunday during Lent, as well as Easter Sunday. There is also a helpful section of resources at the end, which includes prayers, devotions, books to read, etc. I found this book to be a refreshing change of perspective on Lent. Be sure to read the Preface, I didn’t my first time through and thought the book was a bit overwhelming. However, reading the Preface he encourages you to read through the Table of Contents, and pick a few tasks you can accomplish this Lent. A lot of the tasks are easy enough to accomplish, but if you try and do too many, you might find yourself burnt out trying to change too much, too quickly. I think I will re-read this book during Lent and try and incorporate some of the ideas and maybe gradually over several Lents, I will have accomplished everything in this book. If you’re looking for a book that makes you think and re-evaluate what Lent is about (growth and doing stuff, not just giving stuff up), then pick up a copy of Dr. Italy’s latest book. Once again Lent is coming around again in it’s a annual cycle. Yet with Easter being a movable feast we still are always a bit surprised by the start of Lent regardless of whether Ash Wednesday starts earlier or later than average. Lent is almost something you can look forward to. We know we need that spring cleaning of the soul and that we have some work to do to get our spiritual lives untangled. Still if we think of an upcoming Lent at all we also know that we want to make good use of it. Yet once Lent starts we can hardly wait for it to be over. The saying “no plan survives contact with the enemy” is often true of Lenten plans and we do have an enemy that would disrupt any plan towards growing in holiness. So exactly how do you maintain a good Lent? No doubt there are plenty of strategies to do so that we learn to adapt to our own personalities. I’ve always found spiritual reading greatly helpful in this, but our moving inward must help us also move outward in the world. Fasting is very useful, but it also has to move into the dimensions of the spiritual works. So I was presently surprised to find an excellent book with all this in mind. Marcellino D’ambrosio sent me a couple of his recent books including 40 Days, 40 Ways: A New Look at Lent. While there is a treasury of books with daily meditations during Lent, this book has that solid core while also being filled with practical suggestions. These suggestions help with concrete examples of how to live the faith. To externalize what you are learning. To take us out of ourselves. His personable style brings what he has learned in his own life through examples easy to relate to. 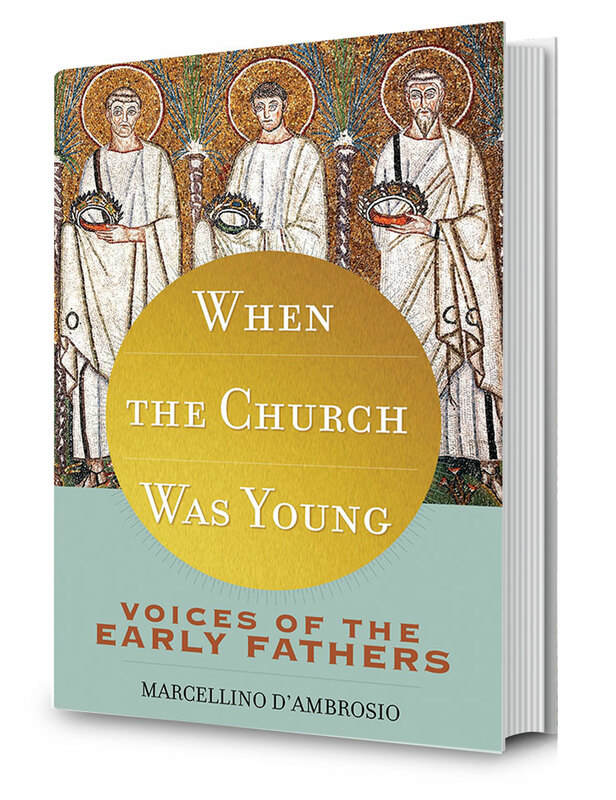 I have been fortunate to read some of Dr. D’Ambrosio’s books such as ‘Exploring the Catholic Church’ and ‘When the Church was Young’. I can truly say that the person I was before and after reading these books has changed. I have come out feeling refreshed and inspired to draw nearer towards Christ. After just starting 40 Days, 40 Ways, I have no doubt that this book will again refresh my ability to see Christ in a new way this Lenten season! This would make a great for gift for anyone! Fabulous read that offers life transforming, yet doable, daily challenges to help you get the most out of Lent. This book actually has me looking forward to Lent—I am going to begin each day throughout the 40 days of Lent with a daily reflection from “40 Days, 40 Ways”… and a cup of coffee. Inspiring for us all to rise ABOVE the line. Dr. D’Ambrosio invites and reminds each of us to be the salt of the earth to add flavor to others by being a servant leader. 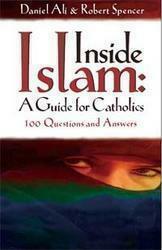 It is a must read and encourages all of us to be a part of the greatest love offered. Be an Example, Take Action NOW! Thank you for sharing your words of wisdom and providing us light. Dr. D’Ambrosio writes with passion and clarity. As a young adult, I have received so much from his wisdom and zeal for the Lord. This book is absolutely perfect for the Lent. I hope you enjoy it as much as I did! This is the first Catholic book I have ever bought and I couldn’t be more pleased ! This book is leading me on a spiritual journey I am loving! Thank you Dr D’Ambrosio for putting Lent into perspective! This book is filled with new and exciting ways to improve my Lenten Journey this year. The thing I like most about it is that has a daily meditation, (not dated) with brief 1-2 page ideas and tips on really improving our journey and experience, that can be used annually since it’s not dated, but noted Day 1, Day 2, ….. 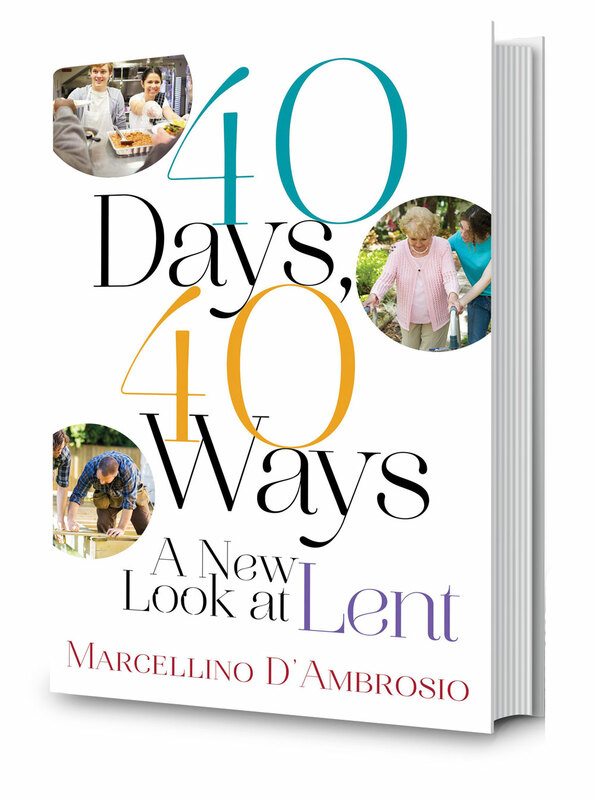 In 40 Days, 40 Ways: A New Look at Lent, Marcellino D’Ambrosio offers 40 Lenten practices, many of which would never have occurred to me. Some of his suggestions are committing to daily prayer, examining your media consumption, praying the Our Father slowly and thoughtfully, initiating a family rosary, reaching out to the least popular person you know, spending time with the Lord in Eucharistic adoration or devoting the first 10 minutes of your day to thanking God for the blessings He has given you. Each of the recommended practices is supplemented with a brief meditation and explanation. Every one of his suggestions is not only spiritually beneficial, but very doable. If you’re looking for a great book to help you get the most out of Lent, check out 40 Days, 40 Ways – A New Look At Lent by Dr. Marcellino D’Ambrosio. You won’t be disappointed! This is a real treasure for enriching the Lenten journey. The reflections are thought provoking and educational while the practical suggestions offer various ways experience Lent more deeply. I especially appreciated the conversational style. An easy read which provides the opportunity for profound spiritual growth. Thank you, Dr. D’Ambrosio! I was looking for an inspirational read for my Lenten journey this year and am so very happy I came across this gem! With working and trying to be full-time mom to three little girls, time seems to get away from me. I was hoping for a book that would help me grow in my journey but not take up a lot of my time. This was the perfect choice. I start each day with a short, inspirational reading and find myself thinking about it throughout the day. A 1-2 page reading is set aside for each day. Each couples readings from the Bible, with beautiful stories or antecdotes and suggestions from the author. I find myself wanting to read ahead to the next day. Truly a wonderful and inspirational addition for anyone looking to do a little more for Lent.